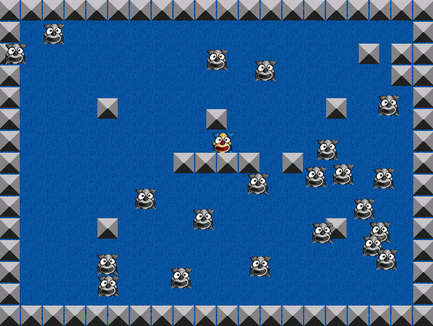 A game made from the first tutorial of Game Maker 7 and expanded by Chair. In this version of Catch the Clown, there are now evil clowns that decrease your score and every type of clowns multiply. Get as many points as you can before the time ends. Click the clown and avoid the bad clowns! "I'm most likely the only one in this world that likes the stock music Game Maker provides you in their tutorial." Chair made this because the First Game tutorial seem to have no goal. She tried to at least put a proper goal in the game.